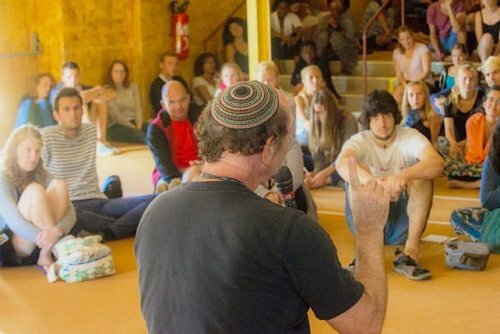 During the week from August 9 to 16, some 20 workshops were proposed each day. Here are some echoes of them. Other texts written by young people about the gathering for a new solidarity have been published elsewhere. Being a resister where there’s social injustice, prejudice and pressure. In life, we often have to decide whether to follow the opinion of the majority or to resist. Resisting means going against the mainstream. It is “a minority of one against a unanimous majority”. In Christian culture there is a tendency to say “yes” to everything. In a way, we have forgotten how to say “no”. Yet there are situations or issues in which Christians should be the first to say “no”. When it comes to discrimination, oppression, economic exploitation, warmongering or homophobia, for example, Christians should be among the first to stand up and put an end to it. Role models such as Dietrich Bonhoeffer or Malala can be an inspiration when it comes to fighting when we think it is right. Sometimes, one person can change a lot. Thus if we want to resist we should not stay alone but engage ourselves and find at least one other person to fight with us against the majority and to say “no” to social injustice, prejudice and pressure. Christians and Moslems living together today. A meeting with Moslems and Christians from different countries. This workshop, like several others, was followed by theRadios Chrétiennes Francophones RCF network. It is possible to hear the French-language report online. Whose home is planet Earth? Living in solidarity with God’s creation. I was truly impressed by this workshop. Reverend Dave spoke about all the things I’ve been longing to hear for years, concerning the importance of our planet and its diversity, from a Christian point of view. It’s not enough to think that God loves us; God loves all aspects of His creation, and we are not here just to rule over them all. I’ve been trying to get this word out in my church and in the youth groups I was involved in before, but it was not easy, and so eventually I got demoralized by the lack of interest of others. I feel my strength and energy in this matter is renewed, and I am again motivated to start a change inside my community, and even to collaborate with A Rocha, an international Christian organization that works for the safeguarding of creation. After Dave’s presentation we were invited to ask him some questions, and I could see that the audience was really motivated to start contributing to this Christian Ecology. Intersecting views on debt : between theology and economy. “Go to the outskirts”: how this call of Pope Francis invites us to build a Church which is poor and for the poor? Father Mariano Puga addressed each of us, asking: What place do the poor hold for us, as disciples of Jesus of Nazareth? Jesus’ life tells us that the Christian vocation is inseparable from sharing our lives with the poor and those who suffer. This is more than “practicing religion,” going to mass every Sunday or getting married in the church. As Christians we have to ask ourselves: Is the God who reveals himself to us through the poor, through Jesus, through those who suffer, our God? Are we, today’s youth, able to share our lives with them? “Blessed are the thirsty for they will find justice”: a personal reading of the beatitude by a Polish judge. I found what the judge said very interesting. He said that he sees his work more as a service for the community, his main task is to care for the poor. It was inspiring when he was explaining us how he tries to cope with his cases and that he knows that his propositions to people in court are only legal solutions and that they need to look for human ones as well. One thing that we can learn from him is to try to remember that in Jesus Christ we can find a source of hope in our daily life. Very often, faith is restricted to certain times and places during our lives. Personally, it has always seemed to me as if there was a gap between our everyday professional lives and our thirst to live a Christian life, which can hardly ever be overcome. 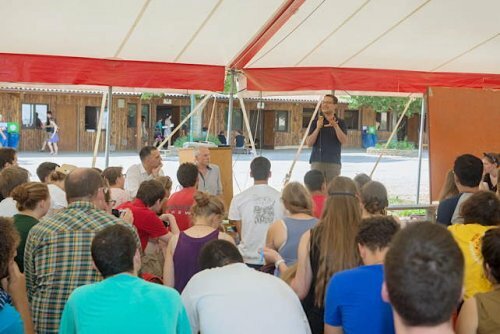 Through the numerous different workshops, meeting people who are working Christians who have diverse professional backgrounds in many fields in society, who have shown that they can combine their working life with dedicating time to being a Christian, it has now become possible for me to envision the same for myself. As Amaya Valcarcel, one of the guest speakers who is working with refugees, said ’ We cannot do everything, but we can do something, and what we do we can do really well ’. Escaping addiction and prostitution is possible! Isabelle, an activist from Nest, came to Taize with two other women to tell us about the movement. In their work, they go to meet prostitutes and propose to help them, listening and attending to their needs. The aim of this movement is that one day prostitution will disappear. Isabelle reminded us that the majority of prostitutes (more of 80%) are part of networks, like mafias, and they are victims. Therefore, Nest is trying to influence legislation and offering its help in writing a new law covering prostitution : a law which would recognize prostitutes as victims and would penalize the clients. The movement of Nest welcomes prostitutes in a place where they can feel safe but also where they can reflect about their future, about how to get out of this situation. The prostitutes are entirely authors of their own futures. We listened to two women, who had previously been prostitutes and got out thanks to the help of the movement. 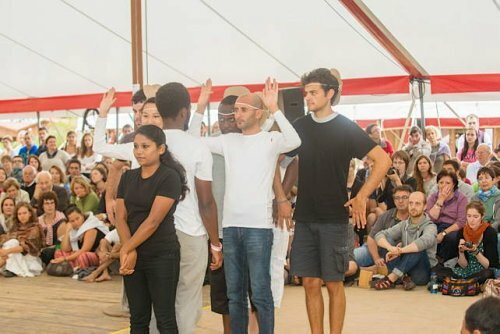 Their testimonies were extremely intense: they carried both the weight of the lies and violence which they had suffered (both came to France because they were promised a job) and the hope of a new life. Today we had a wonderful workshop with four brothers of Taizé who have been in South Korea for many years. Their testimonies and experiences are a very powerful inspiration to those who work for peace and reconciliation all over the world. 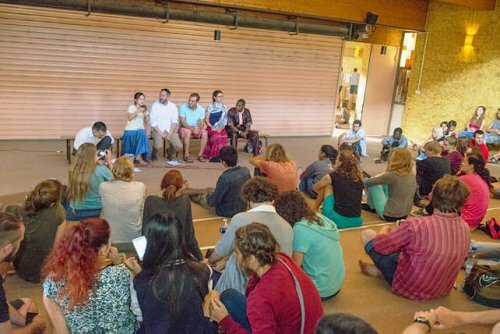 Through this sharing we discovered that what we do in Taizé is also possible on the other side of the world. By visiting prisoners, praying with the people and many other things, these brothers brought hope and understanding to the people living there. 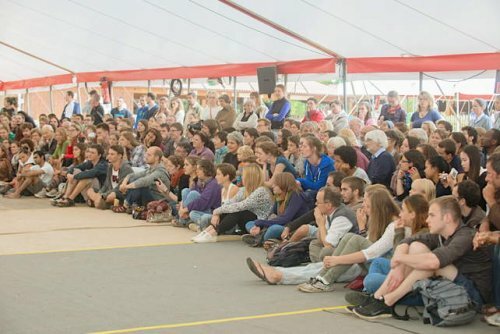 After eight years of coming to Taize, I ask myself the same questions before leaving: is it possible to bring back home what we’ve learnt after one week here? And how do we put it into practice? Is reconciliation possible worldwide? We can’t change the world in one day but by the very little that we do we can start this change. Brother Roger said “Put into practice the very little you understood from the Gospel”.